Green Tea "The Bomb" of Natural Treatments for Breast Cancer! Mark my words, green tea is going to go down in history as one of the all time greatest “cure all’s” ever discovered! The remarkable health benefits of this food are nothing short of astonishing. It has been found to prevent and treat everything from heart disease to diabetes, and yes… even cancer. But what has scientists really excited at the moment is green tea's incredible success as a breast cancer treatment and cure. When you consider that the Japanese drink green tea every day and they also have one of the lowest rates of cancer in the world - especially breast cancer in women - it's certainly no coincidence. They also hold the enviable title of being the longest lived culture in the industrialized world! So why exactly is green tea such a wonderful treatment and preventative for breast cancer? Well, it contains some of the most potent antioxidants of any food. These antioxidants, known as catechins, or EGCG's, are 100 times more powerful at scavenging and neutralizing free radicals in the body than vitamin C and vitamin E (which were once thought to be the strongest available). It's now common knowledge that free radicals damage our cells and DNA and are one of the main causes of cancer. What's more, certain natural chemicals contained in green tea have also been found to not only prevent cancers from forming, but also slow and even reverse tumor growth. In fact, in every study so far that has been performed involving green tea and breast cancer reduction, it hasn't failed once!! Green tea is the most popular tea in China and Japan, where the lowest breast cancer rates are found. There are many health-promoting properties to green tea, and thousands of published studies verifying its benefits. Tea is generally high in antioxidants, but green tea is highest. Green tea is the least processed of all teas (green tea leaves are simply steamed). Oolong tea has some antioxidant effect, but lower levels than green tea, and black tea has the lowest levels of the three. In a study published in 1998, Japanese researchers investigated the effects of drinking green tea on the progression of breast cancer. The study involved 472 patients with stage I, II, and III breast cancer. The results showed that increased consumption of green tea was linked to a decrease in the spread of breast cancer in premenopausal women. In a follow-up study, the researchers found that increased consumption of green tea was correlated with decreased recurrence of stage I and II breast cancer. Epidemiologists suggested a link between green tea and a lower risk of breast cancer after noticing that the risk of breast cancer in Japanese women who moved to the United States and adopted an American diet quickly rose from the very low risk for women in Japan to the much higher risk of an average American woman. It seems to follow that American women could lower their chances of becoming breast cancer statistics by emulating Japanese women and including green tea in their diets. In test tube studies, green tea shut down the tumor promoters involved in breast cancer. 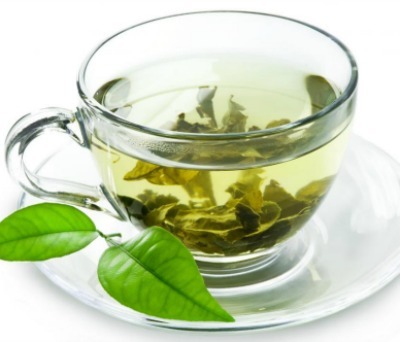 Green tea inhibits the formation of cancer-causing agents in the stomach, including nitrosamines. The anti-cancer properties of green tea include: Immune stimulant. Inhibits platelet adhesion, and possibly metastasis. Antioxidant which protects immune cells for a high tumor kill rate while protecting the valuable prostaglandin PGE-1. Inhibits metastasis. Inhibits the breakdown of connective tissue via collagenase, which is the primary mechanism for the spreading of cancer cells. Ordinary black or green tea, drunk in ordinary amounts, checks the initiation, promotion, and growth of breast cancer (and eight other cancers including lung and liver). Every cup of tea contains antimutagenic, anti-cancer tannins (green tea has twice the tannins of black) and antioxidant, anti-cancer polyphenols (especially epigallocatechin gallate). When a person at high risk for breast cancer eliminates cancer-causing chemicals from her foods and home environment, and she adds garlic, broccoli, green tea, trace minerals, vitamin D, fish oils and shifts to a plant-based diet, her “high risk” breast cancer never emerges. Why? Because it can’t. She’s following an anti-cancer lifestyle. She’ll never express breast cancer, even if her mother did. There’s good news for women who regularly drink green tea. Five or more cups a day could mean you have a better chance of surviving breast cancer. In addition, if your doctor discovers the cancer in an early stage, it’s less likely to spread to lymph nodes. More than eight cups a day, for postmenopausal women, might mean even extra protection. Overall, green tea drinkers are more likely to have types of cancer that respond to medical treatment, and are less likely to get cancer again than other women. Even five cups of green tea a day has been shown to delay the onset of breast cancer. Researchers now suggest green tea, by virtue of its ability to inhibit TNF (tumor necrosis factor), could be used before the onset of cancer as well as during and after conventional cancer treatment. [J Cancer Res Clinical Oncology 125: 589-97, 1999] Green tea extracts (0.1%) added to drinking water of animals has been shown to block TNF production in animals. N-acetyl Cysteine (NAC), a sulphur-based amino acid sold in health food stores, has been shown to reduce TNF. Concerning breast cancer: In vitro studies show that green tea extracts inhibit the growth of mammary cancer cell lines. Their primary mode of action is to inhibit the interaction of tumor promoters, hormones, and growth factors with their receptors: a kind of sealing-off effect. This effect would account for the reversible growth arrest noted in the in vitro studies. – The Healing Power of Herbs: The Enlightened Person’s Guide to the Wonders of Medicinal Plants by Michael T. Murray, N.D. The polyphenols in green tea occupy many of the sites on the exteriors of cells that otherwise would receive estrogen. This keeps the cells from receiving estrogen, reducing the effects of estrogen on the body. This stops estrogen from stimulating growth of cells in breast, ovarian, and uterine cancer. A number of animal studies have shown that the polyphenols in green tea may offer significant protection against cancers of the pancreas, colon, stomach, lung, and small intestine. ...So be sure to make green tea, particularly Matcha green tea, an integral part of your "breast cancer treatment" prescription. In fact, be sure to make it part of your prescription for overall good health and longevity!